National Poetry Month may be over, but the job of a poet is never done. Events like National Poetry Month and NaNoWriMo can be a great help in starting or finishing a writing project, but what about all the days with no trendy, inspiring hashtag to get you through the grind? Inspiration and writers’ block are a gift and a curse to the working writer, so on the heels of the poet’s favourite month, we decided to chat with Steven Heighton, Elee Kraljii Gardiner, Robin Richardson, and Souvankham Thammavongsa about how they manage inspiration year-round. 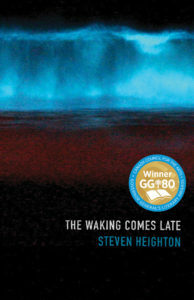 Steven Heighton’s most recent book, The Waking Comes Late, recently won the Governor General’s Award for poetry, and is shortlisted for our 2017 Raymond Souster Award. 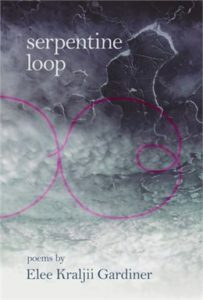 Elee Kraljii Gardiner’s book Serpentine Loop is also shortlisted for the Raymond Souster Award this year! 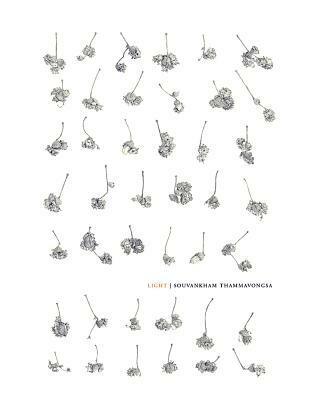 LCP: What do you think of the notion of inspiration? Does it strike? Should writers wait for it? Or is it made? Steven Heighton: For me increasingly it comes in the form of dreams–strange lines or stanzas or whole, brief poems that I hear, then wake up and write down. So inspiration does strike, yes, but it’s also made; everything you do or don’t do (everything you feel or suppress) somehow re-plays itself in the cinema of your dreams. 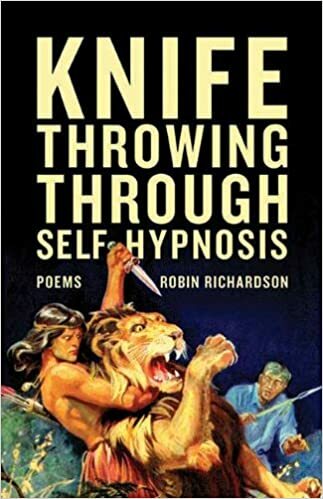 And of course all the things you read and the movies you watch etc etc provide your nightmind with the raw materials it picks from to dramatize and symbolize its fears, insights, intentions. Robin Richardson: I think inspiration is equal parts made and granted. For me discipline is everything. I show up every day, without fail, to my creative work, and put in the time, research, and diligence required to be productive. While I believe the work is crucial, it is never really enough. I see it as the necessary sacrifice required to create a space through which that sort of magical thing called inspiration can manifest. When it hits it hits hard, and is always worth the hours invested. A good dose if outside inspiration can really make one feel like Milton, being guided by the hand of God to create something beyond what one would have thought one’s self capable of. Elee Kraljii Gardiner: Inspiration means remembering things so I can mash them together. There might be an out of the blue strike sometime but mostly it’s a habituated way of thinking. I get an idea while I am busy, usually listening to the radio while I am driving around to pick up kids – that’s the first half of the concept for something I want to try. Later, it could be minutes or months, I get the second half of the reason for the poem/text usually while I am falling asleep or reading something else, like a sign or a manual or a novel. Souvankham Thammavongsa: I don’t think you should rely on it to be a thing that happens to you. It may never. I would rather work toward something I would like to see happen to my work and let the work make itself. LCP: What, or who, inspires you to continue writing? Poetry in particular can be a thankless job sometimes. RR: Hmm. I don’t think I require outside inspiration. For me the work itself is what keeps me going. Sometimes I think that the capacity to write is the only thing that keeps me alive. That people bother to read it, and on occasion pay for it, is a total bonus. ST: A picture of my family at Universal Studios. We were posing in front of King Kong’s open mouth and squeezed inside his palm. We are all trying to pretend for the photographer, but we don’t. In the picture we are all laughing–unafraid. That’s inspiring. To be in danger and to laugh like that. SH: Other poets, of course. Every time I read a good poem it makes me want to write one of my own. Is that envy or is it inspiration? Could it be both? Does it matter? EKG: I don’t write to be thanked. It is a huge privilege to have space and time and health to write. Writing is how I sort out the world. Some people run. Some create gardenscapes. Writing is how I play; I like making things with my friends. The process becomes a reason, or vehicle, for connecting. Even doing events about those things we have made together is part of why I like writing. LCP: What was the best advice you ever received about persevering in your writing? What advice would you give to an emerging writer? SH: A bit of advice I wish I could have given my younger self: Stop straining to be “original” and, with luck and applied time, it just might happen. EKG: The best advice comes from Betsy Warland who told me to “write into a problem.” She showed me how to use the stumbling block as the departure point. So, for example, if the poem is stuttering, I increase the stutter to extreme degrees via language interventions or theoretical stops and starts. Or if I am nervous about the text, I write about that dread or fear – either specifically or by attributing those characteristics to the setting or character. RR: I think I was told once to write for my doppelgänger, who is out there in the world, feeling very much aline, and craving the sort of writing only I can produce. I find myself constantly writing for her. What I would tell most emerging writers is please don’t do this unless you have to. It is thankless, difficult, and most people don’t have a whole lot worth saying. Unless every morning you wake up looking forward to the act of writing, I really don’t know why you’d put yourself through this in a world that could use so many other services. I think the commercial is some great advice about persevering in writing. Sometimes there are things like a book, a degree, awards, conferences and talks, invitations, the right kinds of friends–they can make you look like a writer but the rest is up to you. As for emerging writers. I don’t give advice to them. They’ve emerged, after all.